Ever wonder what it would be like to fly on another planet? 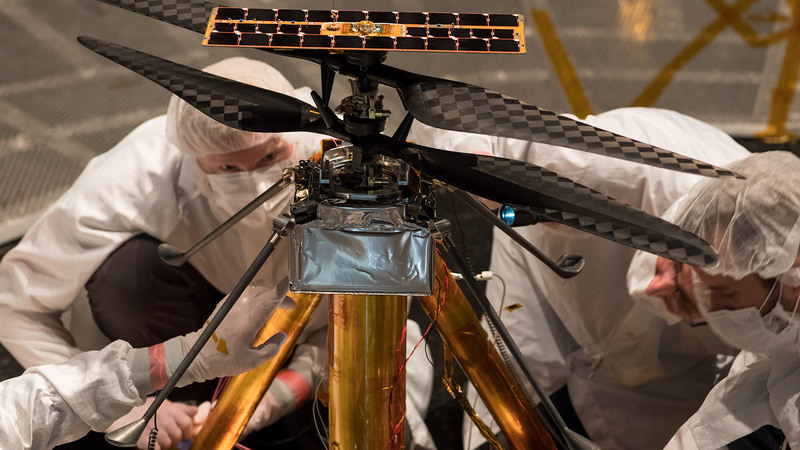 NASA engineers at the Jet Propulsion Laboratory in Pasadena, California, have just completed a successful flight test of a Martian helicopter concept that will accompany the Mars 2020 rover as it explores Jezero Crater on the Martian surface. Such tests are not simple, either to simulate or to pass. This recent milestone involved the helicopter achieving lift under a simulated Martian atmosphere of thin, cold, carbon dioxide, with only the aid of a counterbalance to simulate the lower Martian gravity. Read more about the test, the helicopter flight package, and the Mars 2020 rover here. For more information, visit https://mars.nasa.gov/news/8424/nasas-mars-helicopter-completes-flight-tests/. This entry was posted in Science News on 2019-04-01 by Julie Tygielski.